LAHORE: Foreign exchange reserves held by the State Bank of Pakistan (SBP) have plunged below $3 billion at $2.9bn for the first time since Sept 2001 and are barely sufficient to pay the import bill for three weeks, according to the FX reserves report released by the central bank on Thursday for the week ending on Dec 6. 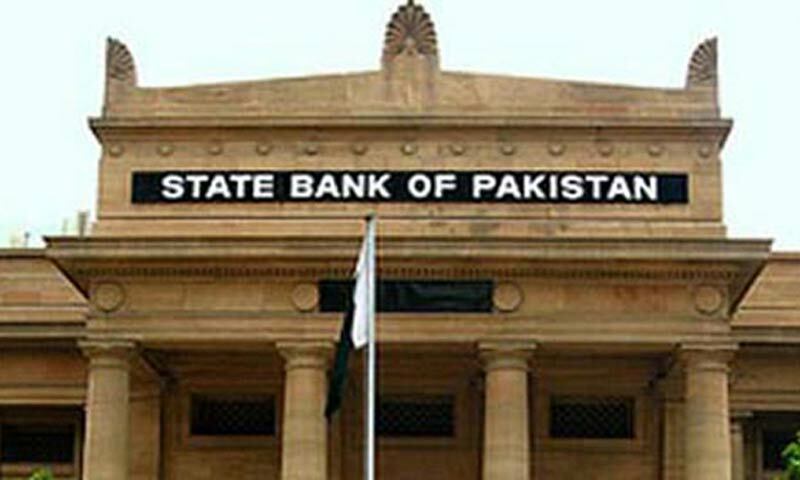 The meagre foreign exchange reserves held by the SBP comprise foreign currency loans obtained from commercial banks, the report showed. The decline reflects what an economist described as �a highly vulnerable balance of payments position with a negative outlook for the rupee�. The SBP data also shows an increase in the bank�s short-term borrowing from the commercial banks, increasing roll over risks in the FX market. According to the FX reserves report, net borrowing of the SBP from banks through swaps/forwards market surged to $2.9bn (or equal to the reserves held by the SBP) by end Oct from $1.8bn the previous month. Swap points have increased sharply (to 7pc, according to some bankers) in the last one month reflecting tighter dollar liquidity. Despite record remittances and higher export growth, the SBP�s FX reserves have continued to decline sharply on large debt payments and rising import bill. �At the same time, external funding has dived because the multilateral lenders, including International Monetary Fund, the World Bank and the Asian Development Band have cut their exposure to Pakistan on account of their concerns over its debt repayment capacity. Private capital inflows have posted a healthy increase on the booming stock market, but remain too insignificant to have a meaningful impact on the FX reserve position,� said the banker who refused to give his or his bank�s name. Bankers agree that the government is desperately seeking release of the second IMF tranche of $550m later this month to shore up the FX reserve position. It is also seeking $500m trade financing facility from the International Finance Corporation and $137m short-term loan from the Islamic Development Bank. �These loans will provide breathing space for the government to roll out the privatisation programme and launch auction of the 3G telecom licenses,� another banker, who also requested anonymity, said. Finance Minister Senator Ishaq Dar, who is hopeful that FX stocks will start improving �from now onwards�, told a media briefing on Wednesday that the government would raise $1.2-1.5bn from auction of 3G licenses, receive over $800m from the US in coalition support fund (CSF) and recover PTCL privatisation proceeds of $800mn from Etisalat. A plan to launch Eurobond and remittance based bonds to raise $1bn next year is also under way. All these plans will be implemented in the third quarter of the present financial year. Pakistan�s FX reserves are on the decline since July 2011 when they stood at $14.8bn mainly on large debt payments and drying foreign official and private flows. The reserves have declined by $2.5bn in last four months and $1.7bn since signing the new IMF loan programme of $6.6bn.